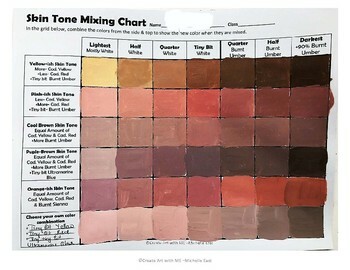 Skin Tone Mixing Chart Learn to mix various types of skin tones using a limited palette. 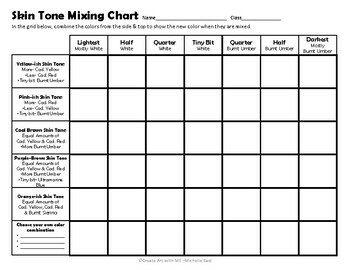 This worksheet will work with any painting medium and can work with dry mediums (pastels and color pencils) as well. 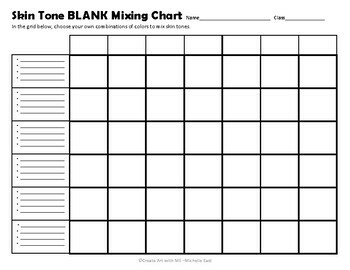 Blank chart included for mixing your own choice of colors.